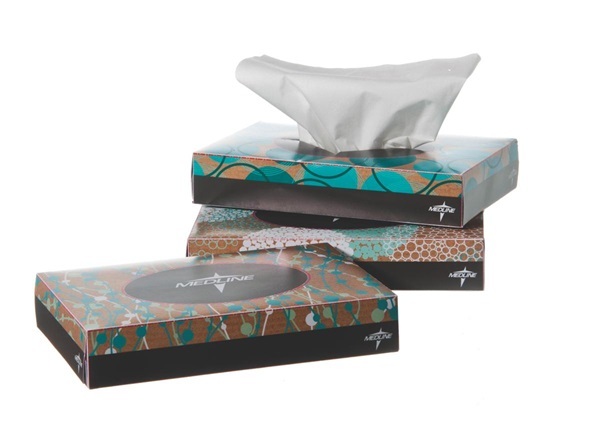 Medline brand facial tissues that measure 5.7" x 7". 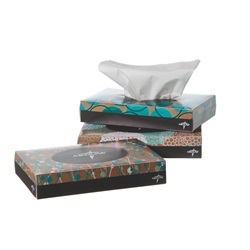 Tissues are white and 2-ply made from recycled paper. Comes in a 3.7"L x 5.8"W x 1"H flat rectangular box with either a tree, leaf, or circle pattern on it. Manufactured by Medline. Comes 40 tissues per box and 200 boxes per case.